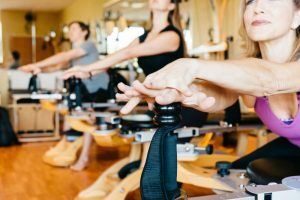 Body Balance Institute specializes in a wide variety of sports including golf, tennis, NFL football, Equestrian training, and dance-specific techniques for adults, teens and kids. 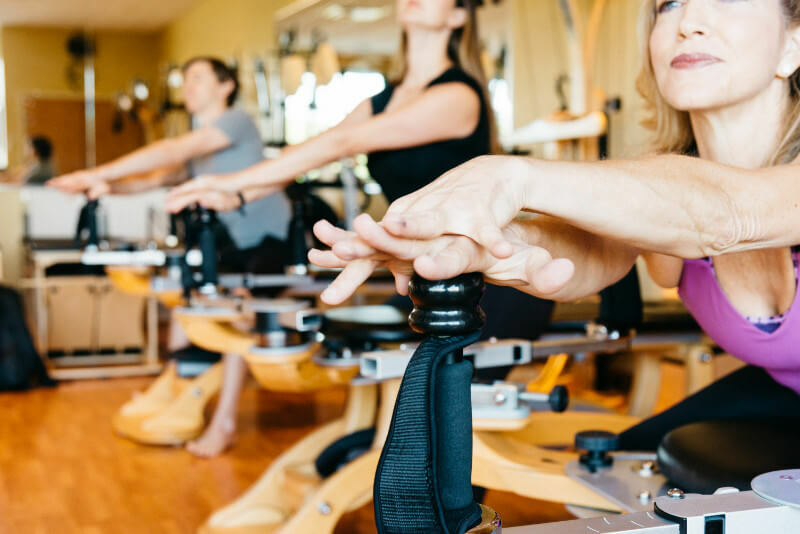 Our instructors attend sports-specific workshops including Pilates on Tour, Stretch to Win, the Titleist Performance Institute (TPI) workshops for golf, Gyrotonic® for golf and tennis, and Pilates Method Alliance. We also work with sport-specific trainers in specialized clinics! Let our experts help fine tune your physical skills to help you with your specific sport needs! Body Balance Institute is proud to be a part of TOUR Health, the official wellness program for PGA Tour in Ponte Vedra, FL. We provide fitness, nutrition, and wellness services for PGA Tour employees on site at Sawgrass, home of the Players. We also consult with and provide services for professional and amateur golfers to help them improve their game and prevent injury. 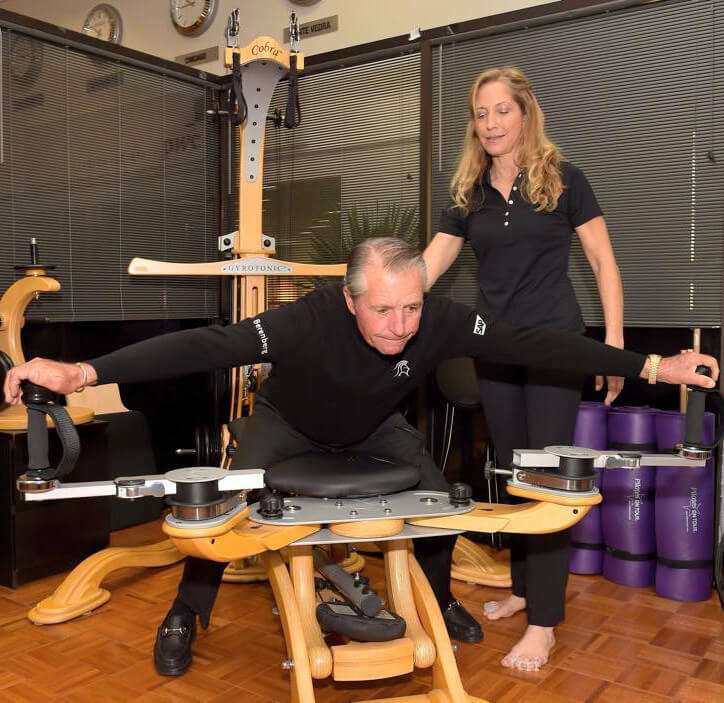 Vicki Sullivan is certified in golf fitness through Titleist Performance Institute, Mike Wright’s Golf and Pilates, Body Swing Pilates, and Gyrotonic® Application for Golf. Tennis requires strength, power, endurance and speed, but mobility, flexibility, control and balance are equally important. Body Balance Institute offers a variety of services to help with game improvement, injury prevention and post-injury rehabilitation. Our wellness programs will help increase the longevity of tennis players. Body Balance Institute has worked with many NFL players throughout the years. Whether it is injury prevention, strength gains, balance improvement, or nutritional education, Body Balance Institute is a one-stop shop for football players of any level. We work with a variety of dancers, from competitive ballet and ballroom dancers to those who dance leisurely and want to keep up their skills. Many of our instructors are former or current dancers. We have a variety of tools and equipment for fine tuning movement, working on footwork, posture and detailing the subtleties of movement at any level. 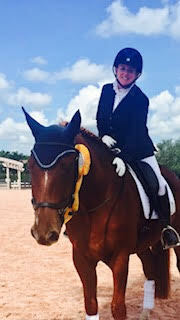 Body Balance Institute works with equestrians of all levels to create an ideal riding connection with the horse and assist in the accomplishment of performance goals. Imbalances over time and physical limitations directly affect how equestrians function on a horse. Many of our services will help each rider develop proper alignment, improve posture, create body awareness and facilitate an optimal riding experience.